I had really been looking forward to visiting our Sam's Club since my husband signed us up for a membership a few months ago. 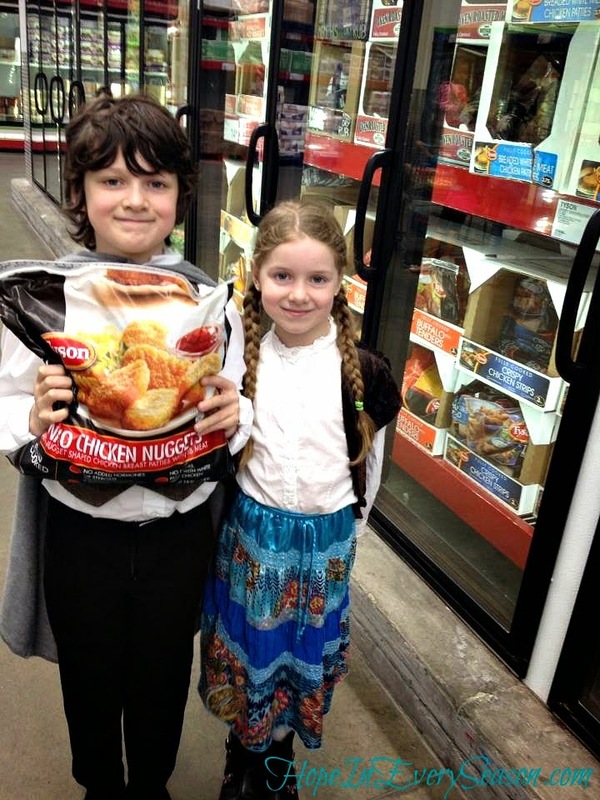 Cainan and Selah (aka Frodo Baggins and Rosie Cotton) helped me shop for this giant bag of nuggets. Not only was I thrilled to find such a large quantity of nuggets for such a great price, these nuggets are only carried in selected stores, so I was really happy to find them at our Sam's Club. When I entered the store, I headed for the food section. It was so easy to find where I needed to go because of the large signs hanging from the ceiling. 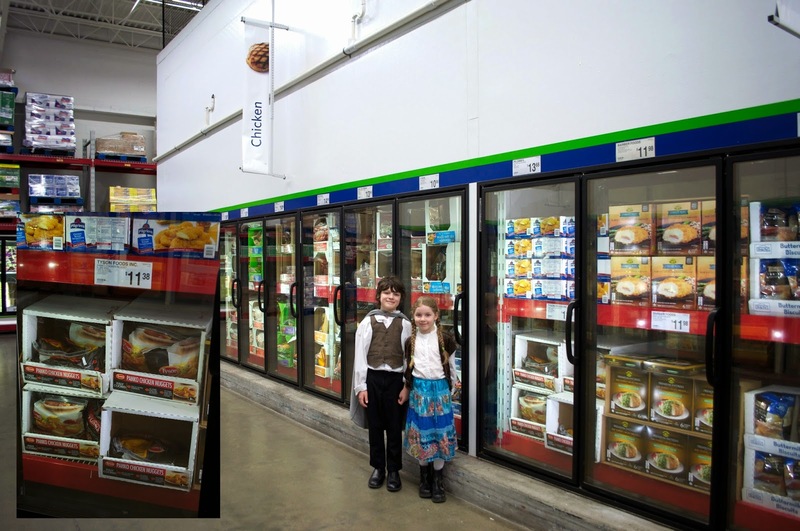 I found the sign for frozen foods, and then found the aisle with the big banner that read, "chicken". As you can see in the inset photo, the bags were in these large, well-marked boxes. I was impressed by how well the store was laid out and how easy it was for me to find what I was looking for on my first trip. 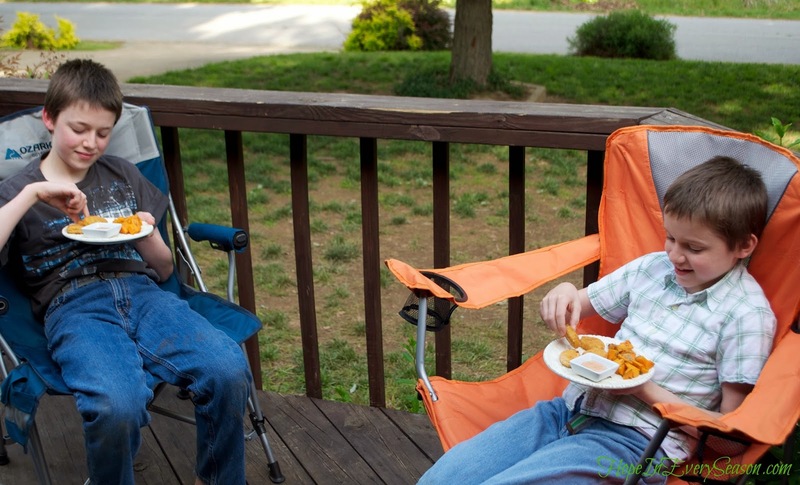 The nuggets ended up being a great choice for a relaxing picnic on the deck. Michael and Elisha enjoying relaxing and chatting in these comfy chairs and the warm dinner hit the spot for satisfied tummies. It's crazy to see them growing up and wanting to have their "own time". I guess guys need quiet time too! Our family has always preferred Tyson chicken. The all white meat nuggets are so much more flavorful than most fast food brands. They don't have that mushy texture like others do and the breading is not super sweet or super salty. 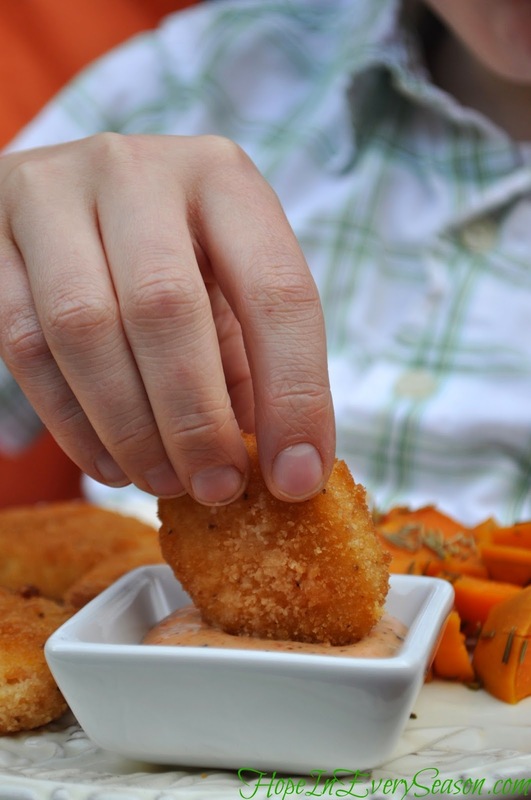 We think they're perfectly seasoned for eating on their own, or complemented with dipping sauces. 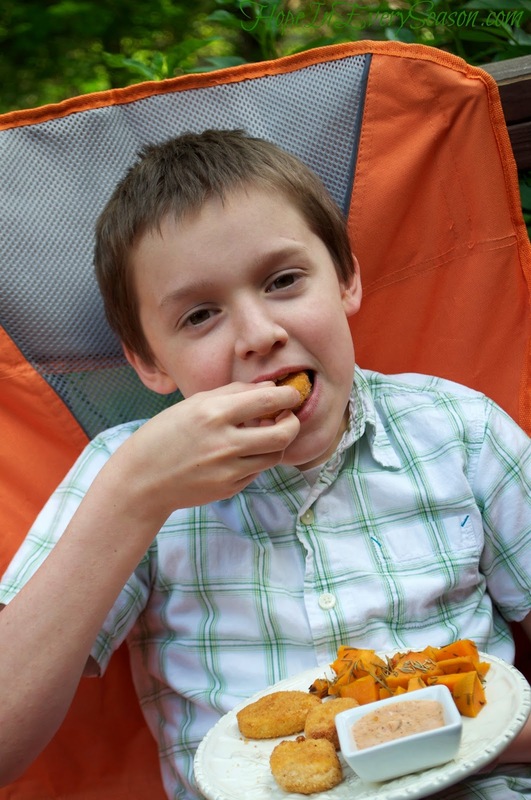 What are some of your favorite kid friendly meals for summer time? Let me know in the comments below and we can all help one another to come up with some easy meals and summer snacks. There are so many fun things to do in the summer---slumber parties, picnics, trips to the lake, backyard bbqs---and everything's more fun with food, right? 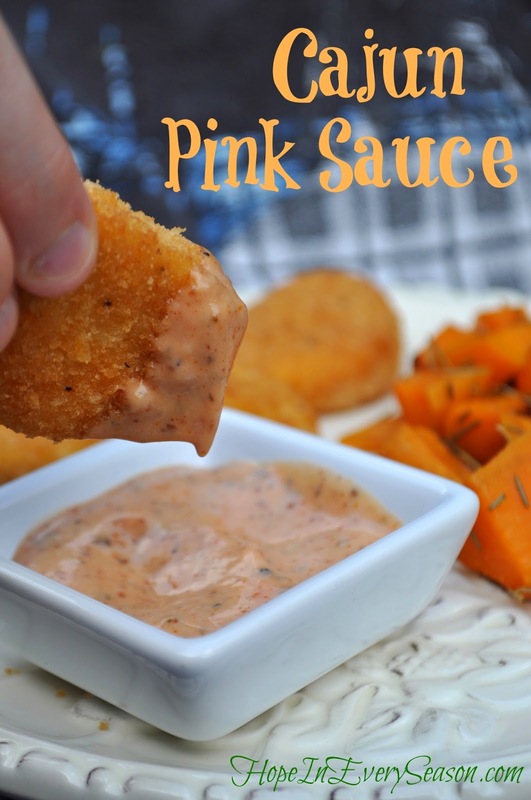 The Cajun Pink Sauce is embarrassingly easy to whip up! 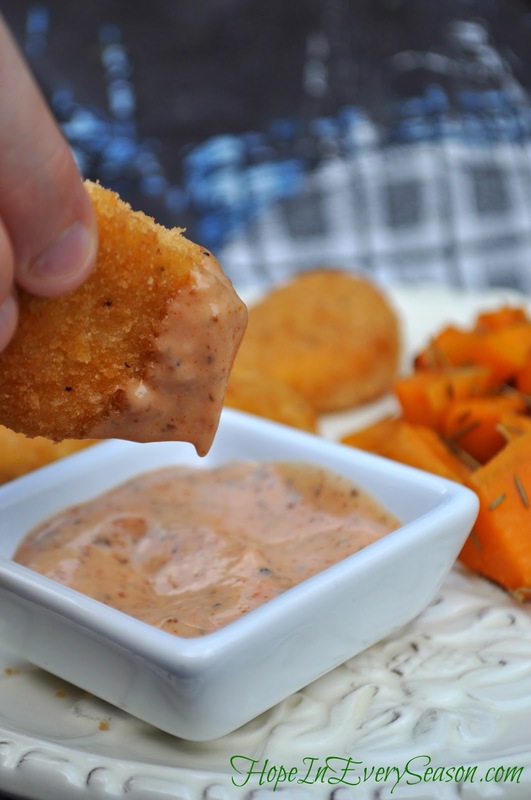 With just three simple ingredients, you'll be on your way to a zesty compliment for your own chicken nugget dinner. Whisk together and refrigerate until ready to serve. Want more inspiration? 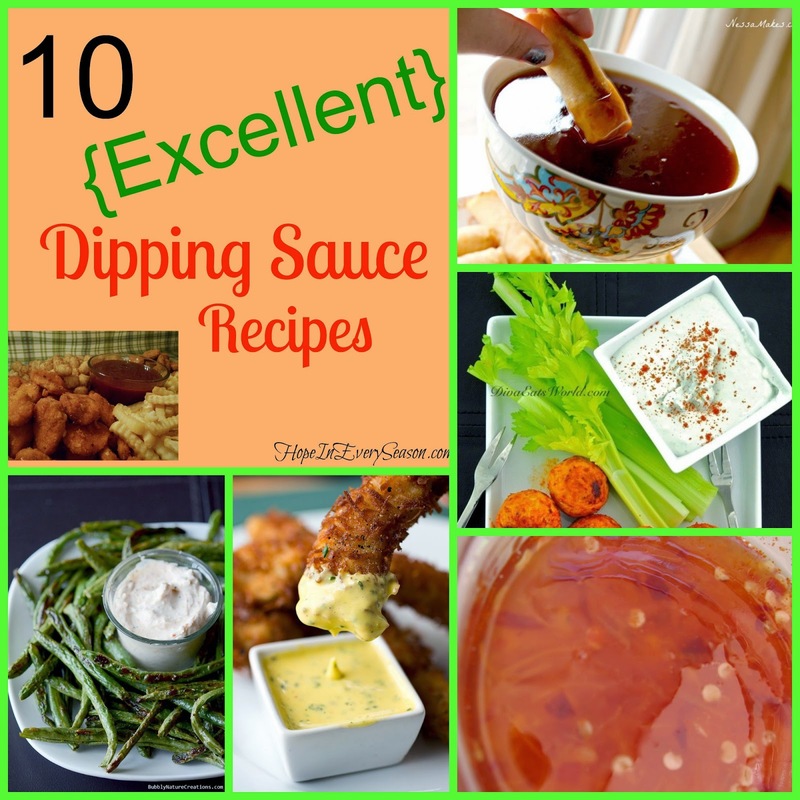 Check out this round up for 10 Excellent Dipping Sauce Recipes. Follow Tyson on Twitter and Facebook. Yum!!! These are good, even took leftovers to work with me. This looks fantastic, thanks, Sarah! Try adding a few tsps of mustard to it... ;) - That's how we make our dipping sauce for crawfish, shrimp, crab, potato...etc. Just isn't the same without it. I am a big dipper. Pinning these. I make this recipe for pink sauce for homemade fries and onion rings, but have never tried adding the Cajun seasoning. Thanks for sharing with SYC.